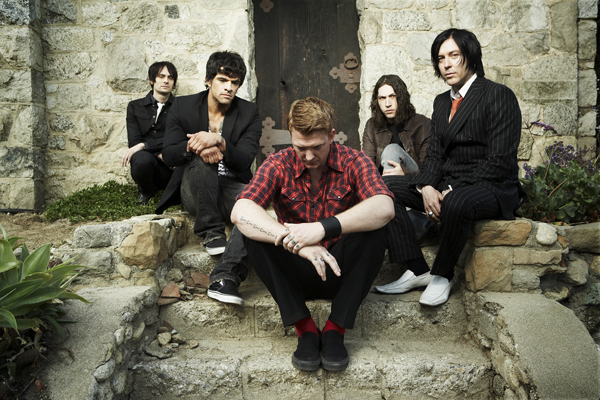 Queens of the Stone Age have been doing that “weird publicity campaign” thing where they at first pretended they didn’t know when the album was coming out, then leaked musicians would be making guest appearances on said album, and then slowly released the album’s title and release date. That album, …Like Clockwork, has had three new songs premier in the span of a week. Earlier, they posted the music video for “I Appear Missing”; now, they’ve played two new songs, “I Sat By The Ocean” and “If I Had A Tail,” live that are available for streaming and downloading. There are no other songs on the new album that have the first person “I” in the title. …Like Clockwork comes out on June 4. You can pre-order it here. To stream or download the two new songs, click “Read more”.